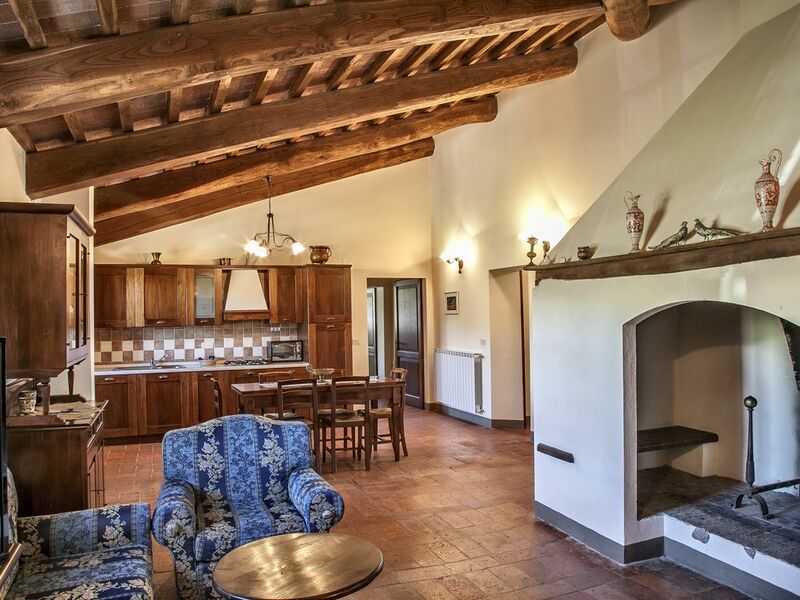 Farmhouse La Pieve is set in one of the most photographed views of Tuscany. Just two minutes from the village of Pienza, where you can admire the beauty of the medieval village and tastings of the famous cheese "Pecorino" accompanied by a glass of red wine. Also you can visit many other villages scattered in the province of Siena Montepulciano (Vino Nobile), Montalcino (Brunello), S. Quirico d'Orcia etc ... Equally close are the cities of Florence, Siena and Perugia. Ability to access the pool and many relaxing corners of the garden. Palazzo Massaini 1 was located on a hill with a beautiful view and lovely pool area. The clean, charming farm house was vintage Tuscan with updated kitchen and bathrooms and everything we needed for a comfortable stay. It was perfect for trips to Pienza and the surrounding Tuscan towns, and the Palazzo Massaini castle and winery was an idyllic setting for tasting and buying wines. The location was fantastic as it is midway between Montalcino and Multipulciano but there was no place to sit in the morning to drink your coffee and enjoy the wonderful view. The garden and nearby terrace was overgrown or else it would have been the place to sit. There needs to be a built-in safe as our apartment was broken into and jewelry, cash and expensive earphones were stolen. Chiara was great about helping us get the police report done but really - the owner should have shown some concern by sending down some wine from the winery or invited us for a tasting in the Palazzo.